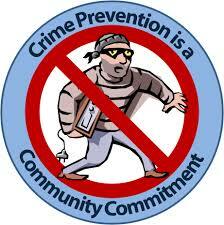 Principle objective objective of this article is to explain on access to justice for crime prevention. This component is designed to improve police community engagement and create an environment that facilitates prevention of crime and equitable access to justice. This includes development of a National Crime Prevention Strategy with gender and human rights perspective. A further key objective is to minimize the opportunity for appropriate influence over the police in administering their role in the justice system. Strong emphasis is placed on crime prevention and community engagement, and a major focus on victim support, particularly for the poor and vulnerable groups.